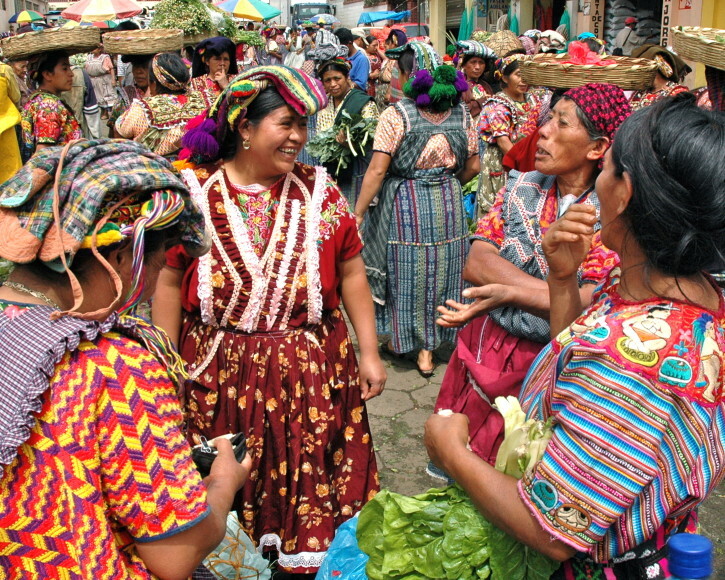 Guatemala truly has it all: a vibrant indigenous culture, spectacular natural beauty, the UNESCO world heritage city of Antigua, dramatic Mayan ruins, and the warmth and charm of its proud people. 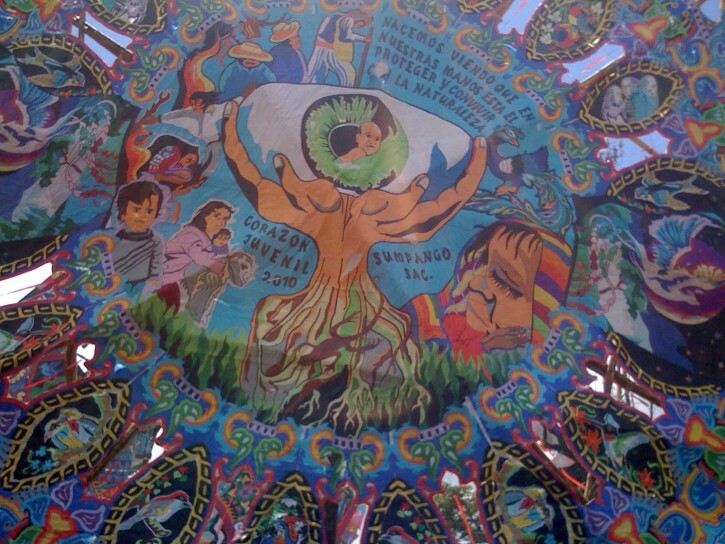 This is not to ignore Guatemala’s turbulent past or the social inequalities that still exist. However, since the signing of the 1996 peace accords, Guatemala has again taken its rightful place on the world’s stage as one of our planet’s most compelling destinations to experience living culture in a lush, natural setting. While custom journeys can be crafted at any time, we recommend for those with flexible timing to coincide your adventure with one the country’s spectacular festivals. 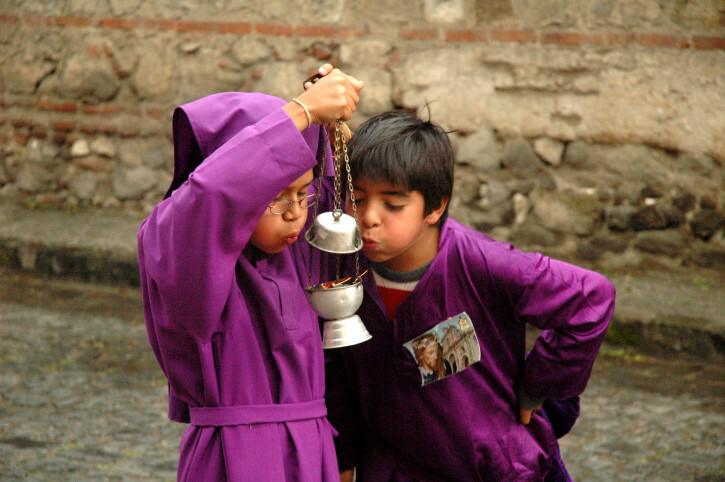 Semana Santa (Easter Week) in Antigua is one of the most colorful expressions of this religious celebration in the Western Hemisphere, while the Day of the Dead Kite Festival in Supango and the Santo Tomás celebrations in Chichicastenango are two of our team’s favorites. Delve into the delicious history of Guatemalan chocolate with a passionate roaster and chocolate maker. Finish with a tasting which pits Guatemala’s finest against some of the world’s best. Dive into Antigua’s open-air market to score fresh herbs for our indigenous hosts in Santiago Zamora. Help make tortillas as they put the finishing touches on their signature Pepián, a pre-hispanic dish recently incorporated into Guatemala’s national patrimony. Visit members of a cofradia in a small agricultural community charged with caring for Maximón, the cigar smoking, rum drinking folk saint venerated in towns across the western highlands. Trek village-to-village along the rim of the lake and kayak out into the lake’s mystical blue stillness during your adventures-filled days at Atitlán. Visit a weavers cooperative founded by a master indigenous artist who has led the rescue efforts for Guatemala’s ancient textile traditions in the community of San Juan Laguna. She has been awarded the Order of the Quetzal, Guatemala highest civilian honor. 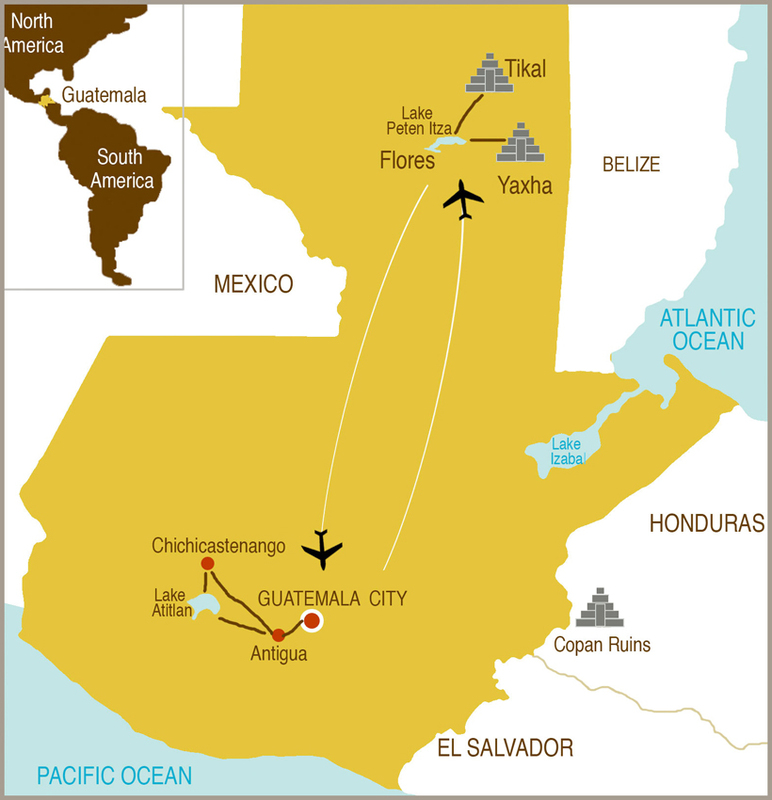 Our optional extension to Tikal and Yaxhá is highly recommended. Yaxhá, with over 80% of its area still unexcavated, retains an air of mystery, while Tikal, one of the most important centers of the ancient Mayan world, takes one’s breath away with its grandeur. The brash natural surrounds of Petén make a terrific base for these archaeological explorations and charming, upscale eco-lodges balance out the invigorating daytime adventure. We’ll gladly add a private, chef-prepared gourmet picnic or two to further elevate this magical experience.